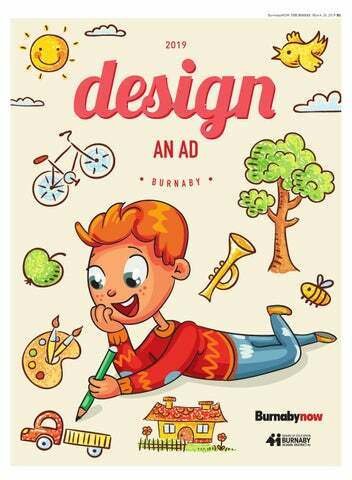 Creativity & Children A great mix That’s one of the reasons our annual Design an Ad special supplement continues to be popular in Burnaby. 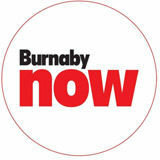 The Burnaby NOW, local businesses and organizations, and the Burnaby school district, team up and ask city students to design newspaper ads for the special section. Every year, the students produce insightful, creative, thoughtful – and often humorous – advertisements that highlight the strengths of their subjects and often carry compelling messages. The businesses and groups get to choose which students’ advertisement they want to run in the section and our photographer visits the students. The ads and photos of students are put together by our team at the Burnaby NOW and another Design an Ad section is complete. The ads are also on display at Lougheed Town Centre from March 29. I would like to thank all of the students, teachers and participating advertisers who continue to make this annual project a real success! What do you want to be when you grow up? This question has persisted for generations, and it’s even more complex for our students today. By the time this year’s Kindergarten classes graduate from high school there will be professions that we couldn’t imagine now. For example, who could have predicted that talking on YouTube about video games could earn someone a reported six-ﬁgure income? At Burnaby Schools we create a learning experience that empowers students with the skills they need to succeed – no matter what the future brings – such as creative and critical thinking. In the “age of Google” being able to recite facts no longer holds the value it once did. One of the important opportunities the Burnaby School District provides is career exploration. This competition for Design an Ad is but one example of that: a chance to try marketing and advertising. Another is Burnaby Schools unique Words Writing Project, which gives our students a chance to become published authors. Students from Geetu Parmar’s grade 6 and 7 class at Buckingham Elementary. ❤ of the Italian community! Students from Laura Baird’s grade 5 and 6 class at Buckingham Elementary. Cherie Tan’s grade 6 and 7 class at Lochdale Community School. Manuel Seradilla’s grade 7 class at Lochdale Community School. Students from Derek Cockramâ&#x20AC;&#x2122;s grade 6 and 7 class at Taylor Park Elementary. Students from Patricia Long’s grade 5 and 6 class at Taylor Park Elementary. Students from Fannie Chan, Sue Hara and Erich Parker’s classes at École Marlborough Elementary. Brian Jessel BMW – Centrally located just off Highway 1. Visit us today!